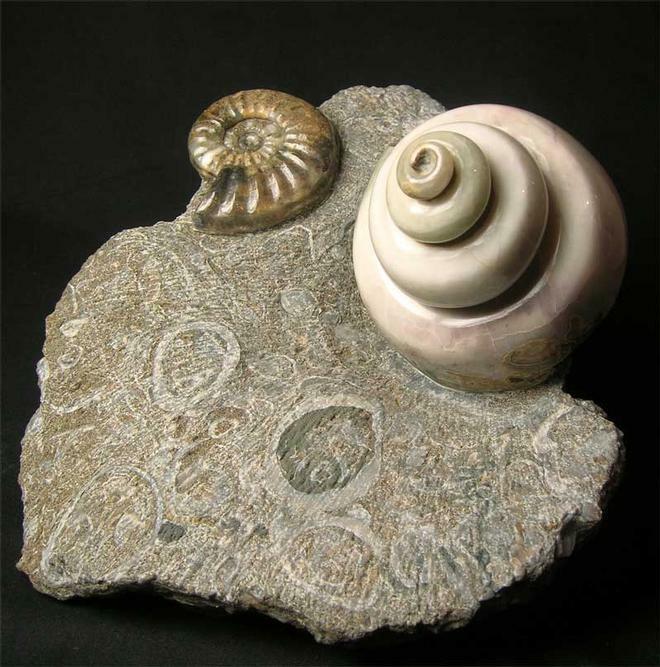 Once again another wonderful and totally unique fossil from the old quarries of Scunthorpe. 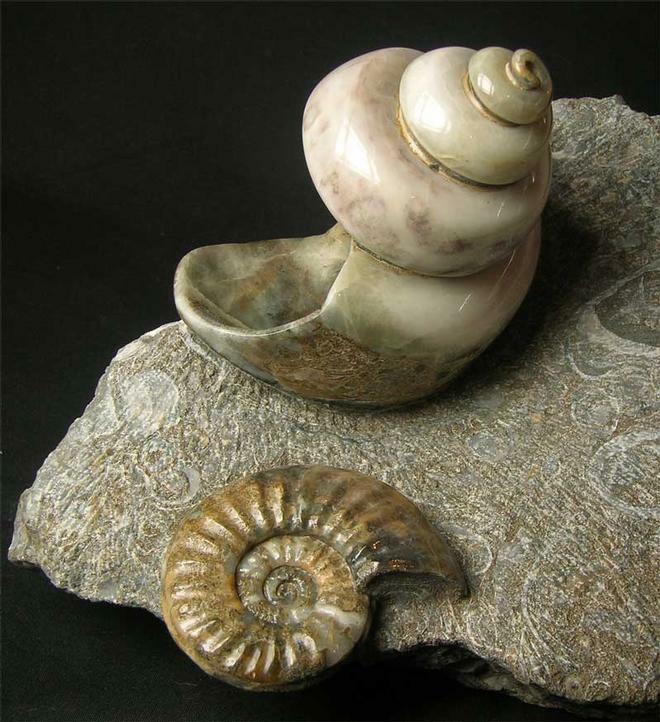 To get an Ammonite and Gastropod (Pleurotomaria anglica),side by side on the same piece of stone is incredibly scarse and highly aesthetic as a display piece. The Gastropod has been ground gem smooth and a professional polish applied to reveal stunning colours which includes purple, green, brown and cream. 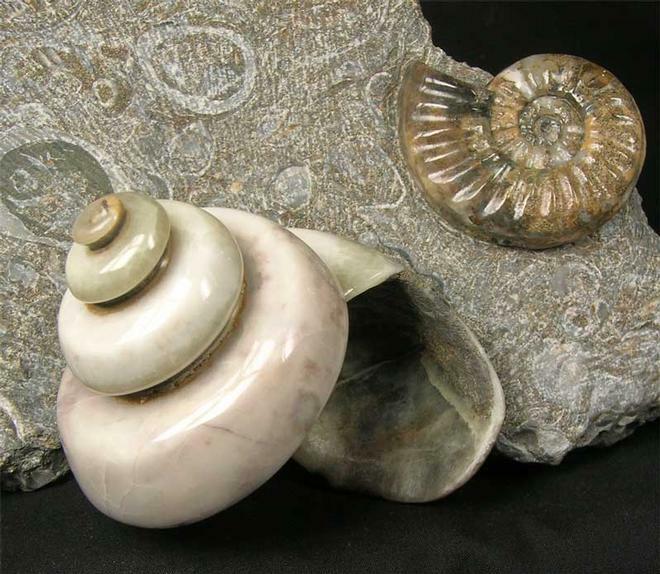 This specimen has taken many hours to prepare and both fossils lie in a beautiful piece of matrix. 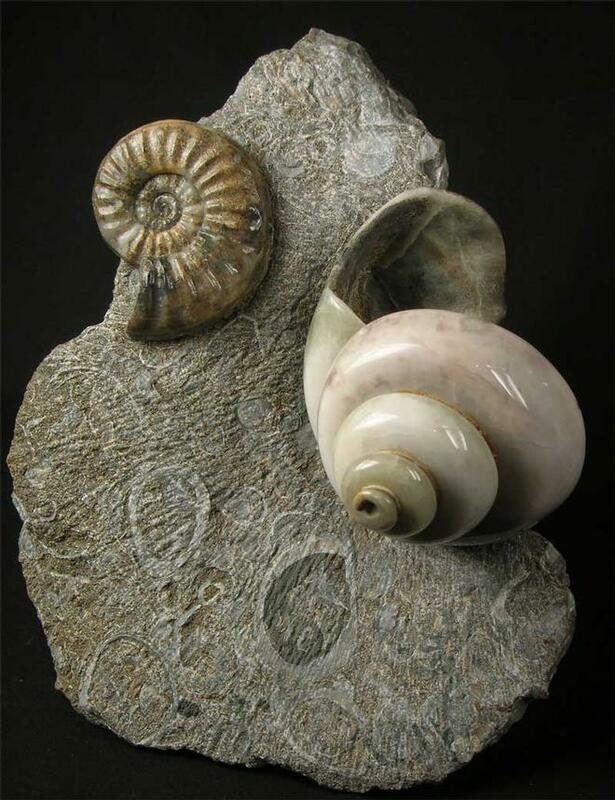 Ten years ago all these Scunthorpe quarries were filled in and so this makes these incredible fossils very scarse to obtain thesedays, also an excellent investment opportunity. A chrome stand is included with this fossil. Approximately 200 million years old.